In most businesses, a surprisingly large percentage of the daily actions taken by most employees are repetitive and predictable in nature. Unfortunately, the majority of these actions still require human input, and therefore can't be automated entirely. These repetitive actions that still require human input are what are known as business processes, and they are both a significant challenge, and a tremendous opportunity for modern businesses. Here are five aspects of effective business process management to keep firmly in mind to gain the competitive advantage you need to succeed. Business processes almost always involve the collection, manipulation, and analysis of data. For these processes to run smoothly and reliably it is vital that the data they are based on be equally reliable. Your data collection and data handling procedures need to be designed with an eye towards data uniformity, and accuracy. The problem with the concept of the paperless office is that our offices dont exist in a paperless world. Most businesses still receive lots of information on paper, and that information needs to be stored and managed digitally. Properly designed document capture processes make sure that that paperbound information is captured and stored accurately. Modern content creation in the business environment is collaborative, and requires extensive real-time communication. Your communications infrastructure and your collaboration platform need to enable your employees, not hinder and confuse them. Simple, functional, and intuitive are the keywords here. Reliable data is important, but without good analysis, the best data in the world is worthless. Data analysis tools need to be as specific as possible to the task at hand. In todays cutthroat marketplace, generic reports and database queries just dont get the job done. 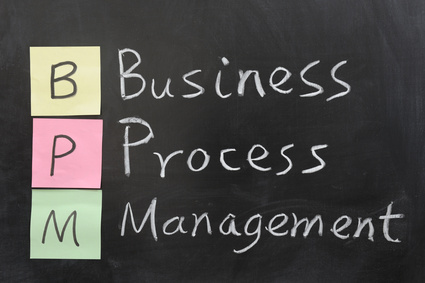 The most important thing to remember to ensure effective, efficient business processes, is that BPM is, itself, a business process. That means it should be subject to the same regular evaluation and revision as all of your other business processes. Business processes are an opportunity in the sense that they can be used to positively affect the operation of your business. Keeping these five parts of the BPM equation in mind will help you overcome the challenge that business processes pose, while making the most of the opportunity they represent.